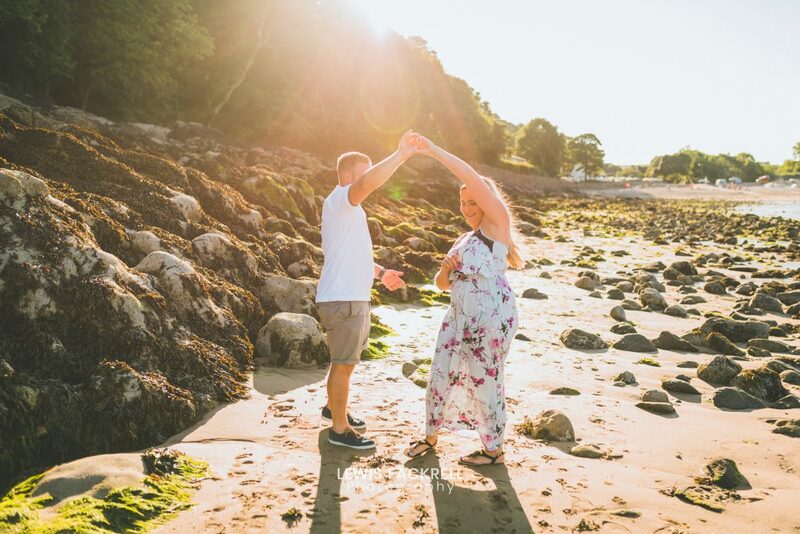 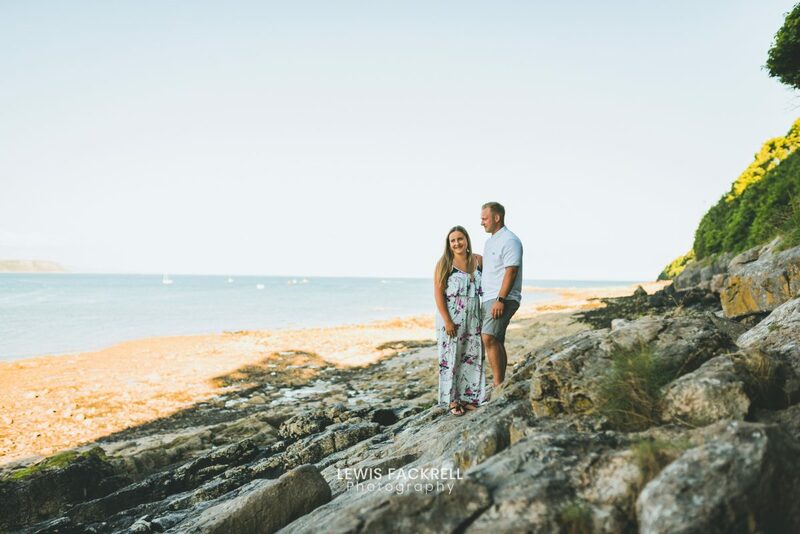 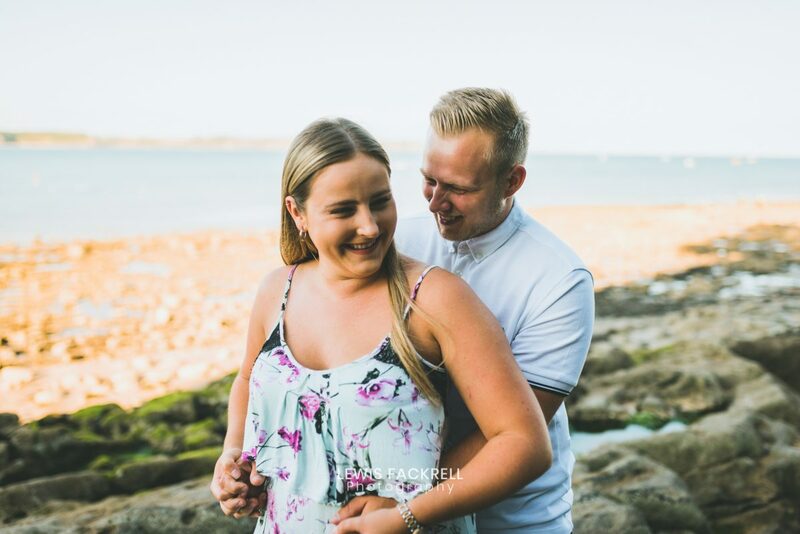 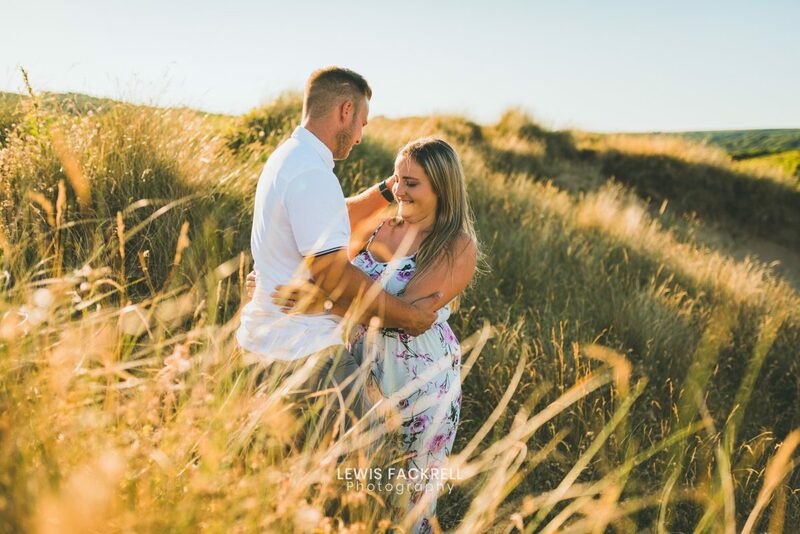 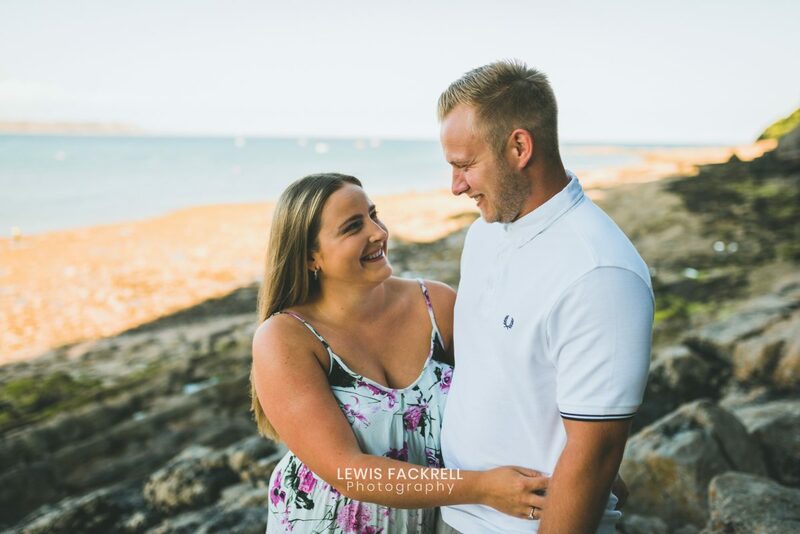 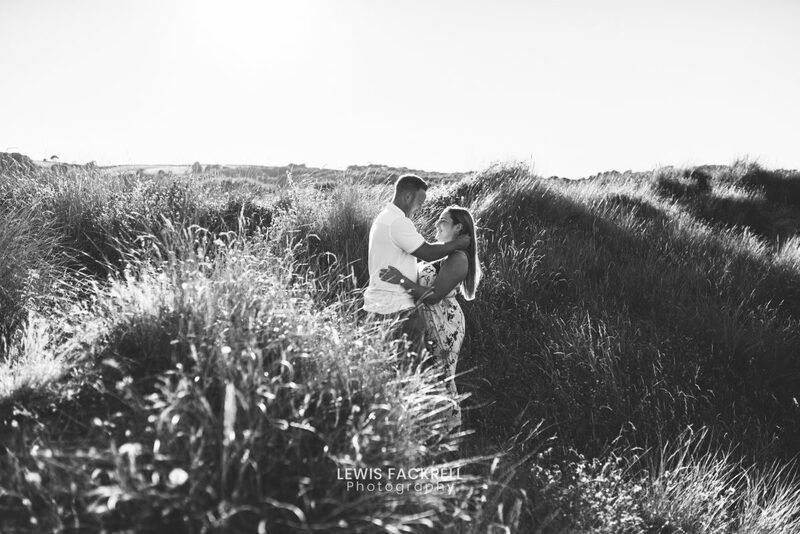 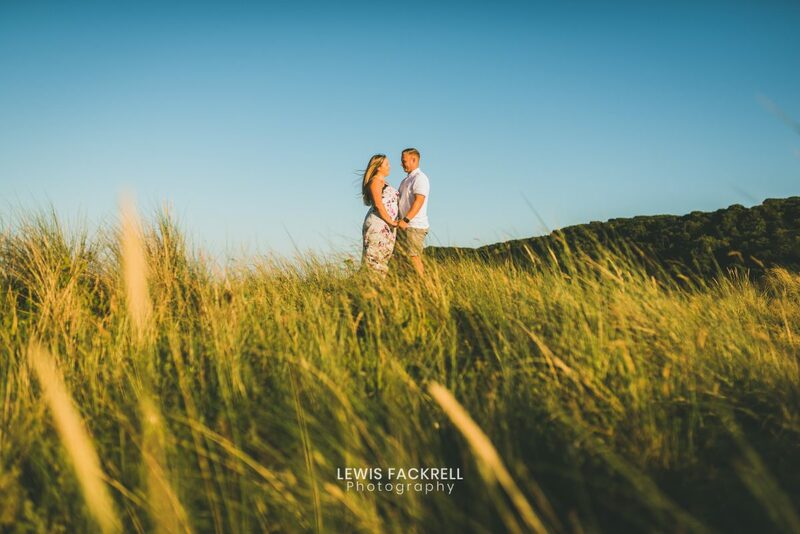 Olivia & Adam had their Gower pre-wedding photography at the weekend. 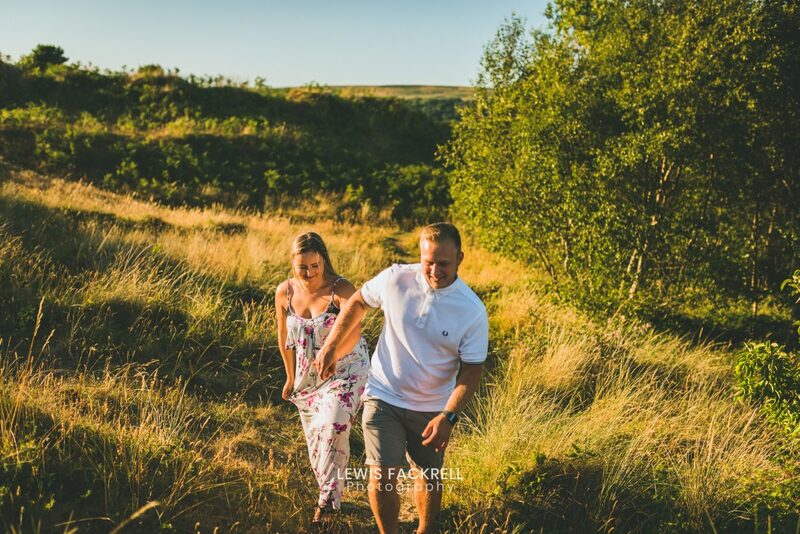 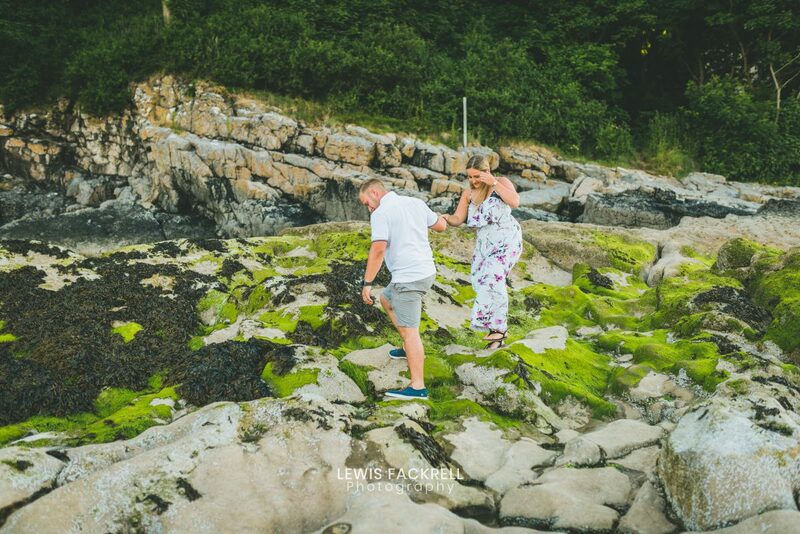 They timed a trip back home to Wales with their photo session and what a great shoot it was! 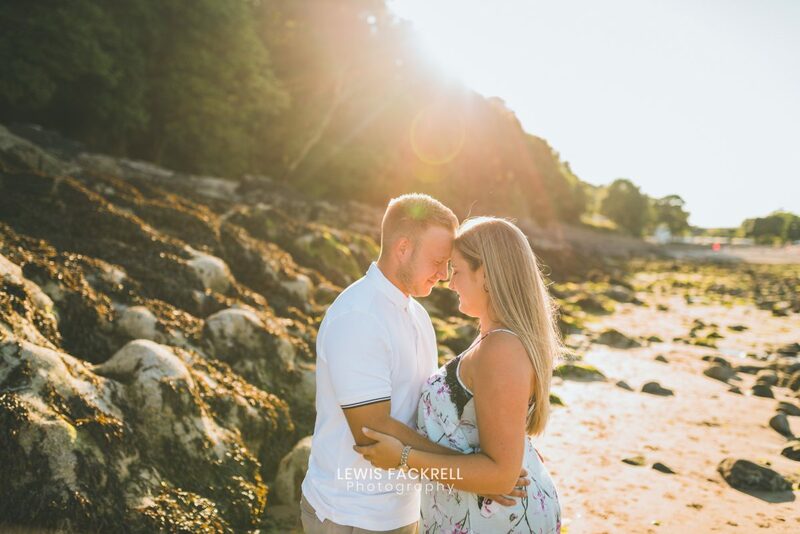 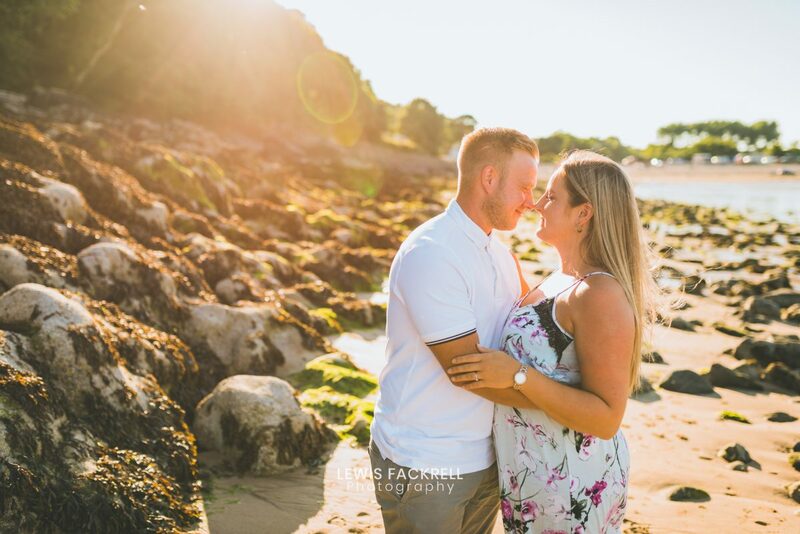 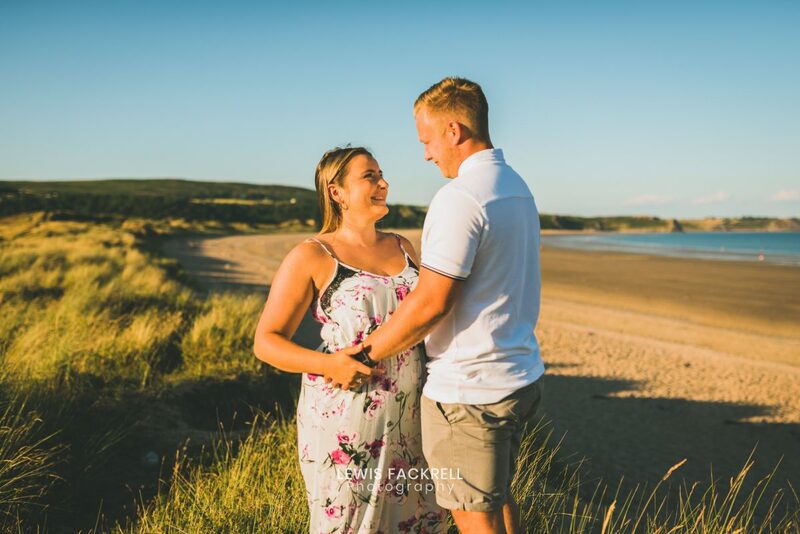 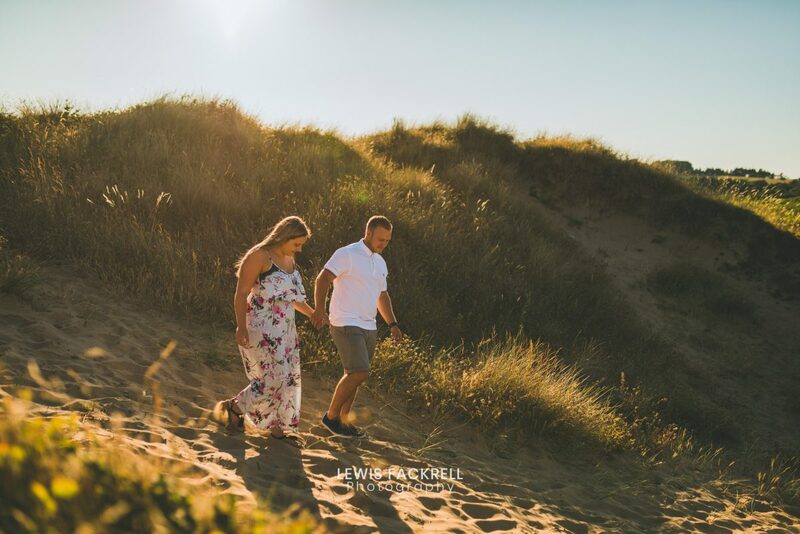 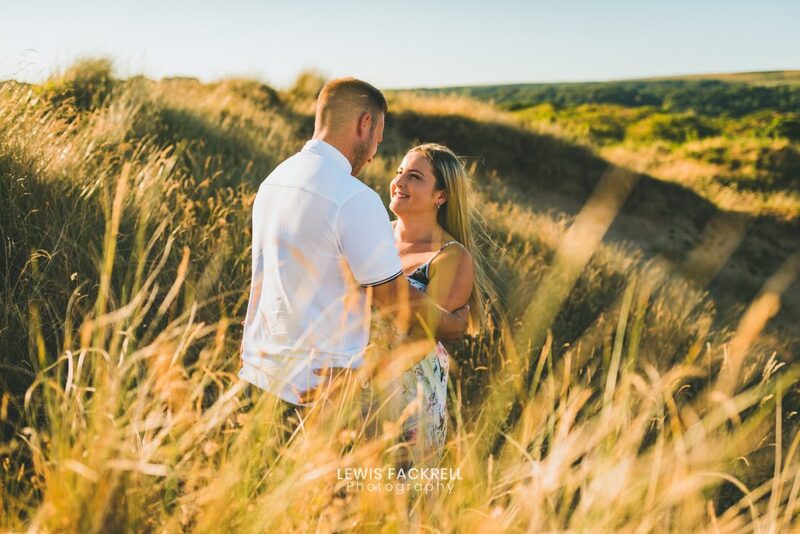 We decided to have it at Oxwich Bay, near the wedding venue for the stunning beach, dunes and sunset! 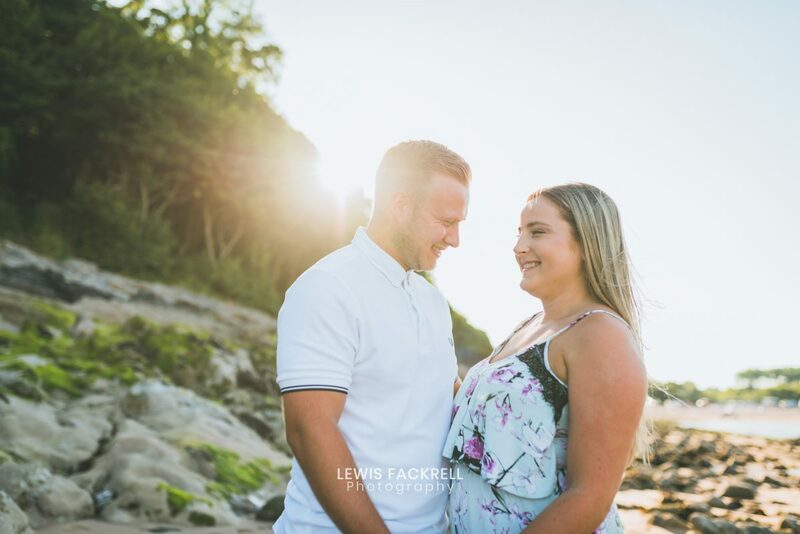 Olivia & Adam both confessing to their nerves of being in front of the camera but I reassured them that it’s all about just being themselves. 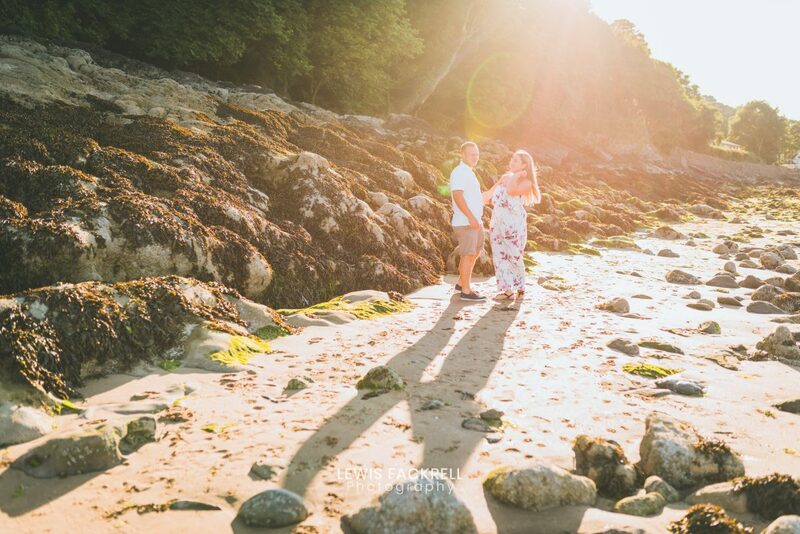 The beach was packed with tons of tourists on the beach, in the sea and on their jet skis yet the couple, totally unfazed and soaked up their own atmosphere under the setting sun… Got some cheeky lens flare too! 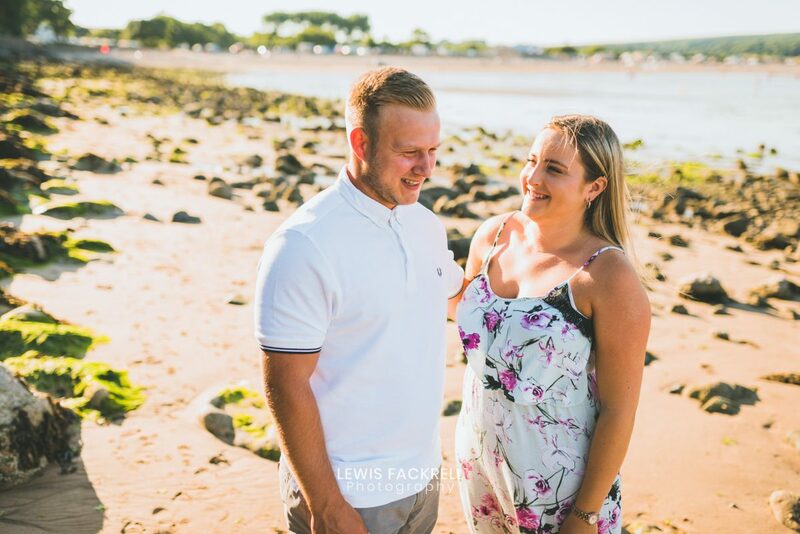 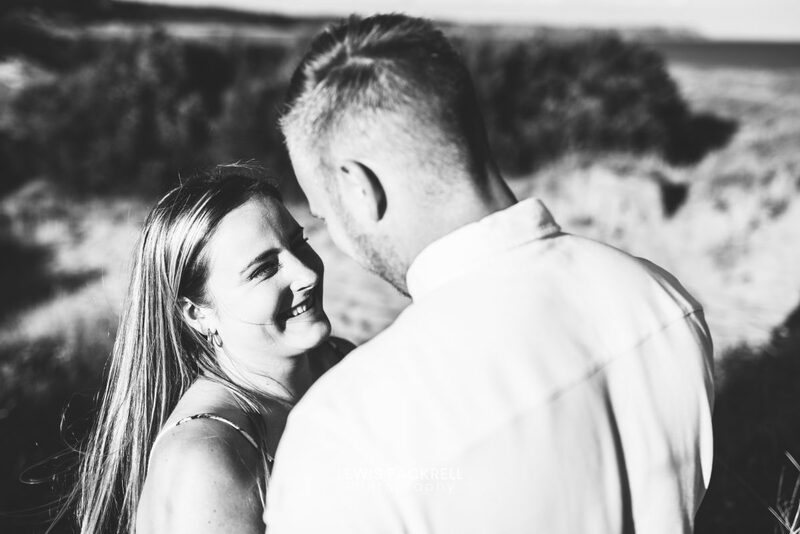 We talked a little about their wedding which will be in November at Oldwalls, Gower.